Pip Wilson bhp: Watching Big Brother - #CBB #CBB16 and taking notes every night. Watching Big Brother - #CBB #CBB16 and taking notes every night. 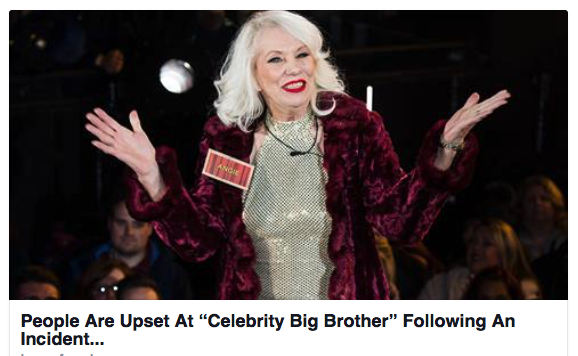 Celebrity Big Brother on catchup TV. I take notes every late night. I fast forward all staged bits. None of them are famous to my knowledge. The behaviour is often obnoxious. I say they are beautiful humans. All have publicly known issues. I guess, like us, there is more undercover. "I don’t like people - don’t want to interact"
- but not all - and not all the time! - occasionally - not all the time. It must be tough to stay stable. It is a hot-house of emotions. I often think how I would manage. I am always reflections on emotions. All relating to becoming …..
from cold cool to raving mad hot. Most behaviour is driven by emotions. We feel these emotions in our daily lives. being in the BB house. We all like/don’t like certain behaviours. and writing a person off.